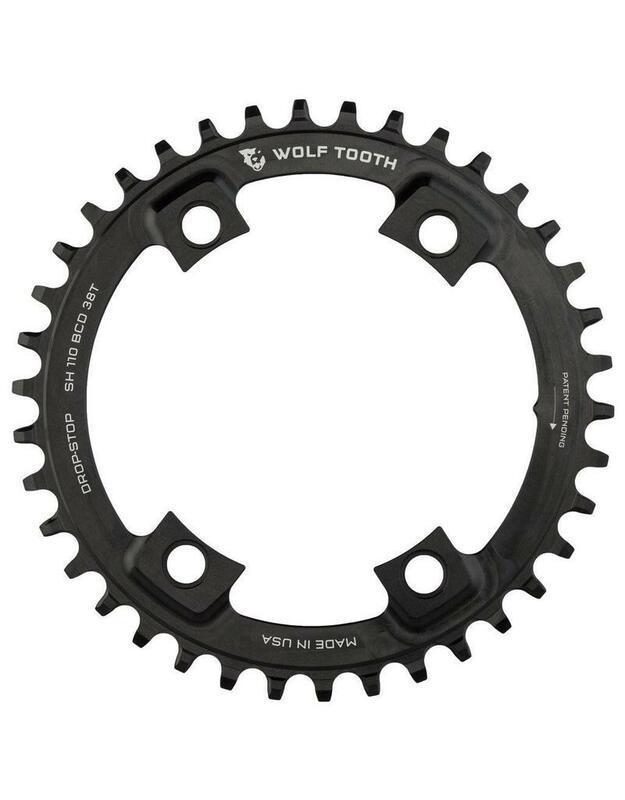 Wolf Tooth was first to market with Cyclocross 1x specific chainrings because we saw Cyclocross as the perfect use for our patent pending Drop-Stop® technology. 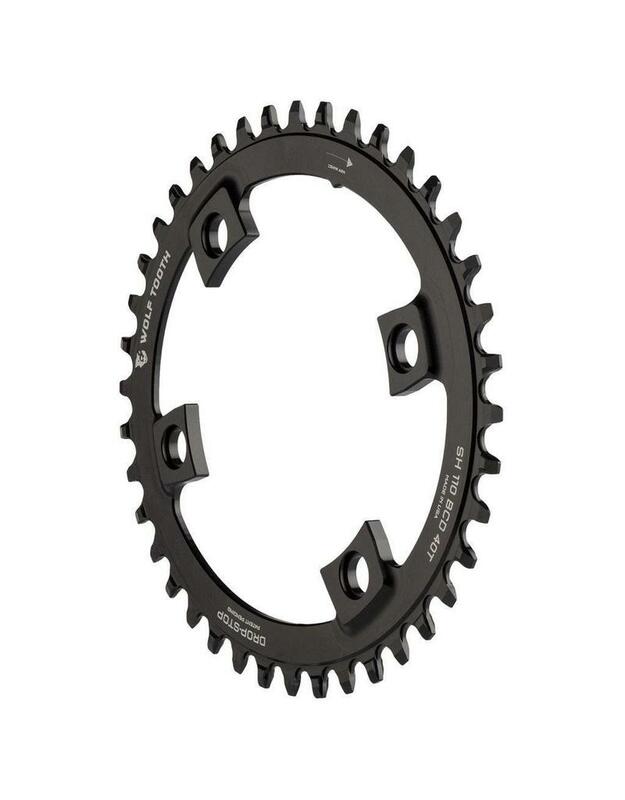 These beautifully machined 110 BCD Asymmetric 4-bolt chainrings are optimized for your 1x Shimano CX/ Road/ Gravel drivetrain whether you run Dura Ace 9000, Ultegra 6800, 105 5800, or Tiagra 4700. 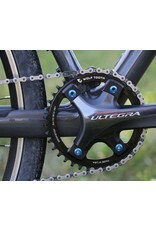 They are also offset for the ideal 1x chainline. 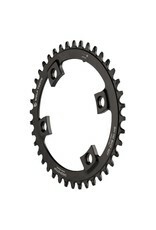 These rings are for use with 110 BCD Asymmetric 4-bolt cranks. Here is how to measure your BCD. 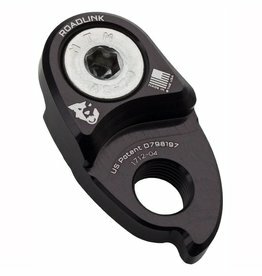 Sizes 38T and larger are compatible with Dura Ace 9100, Ultegra 8000 and 105 R7000 but a slight modification is required due to a change in the crank arm profile. 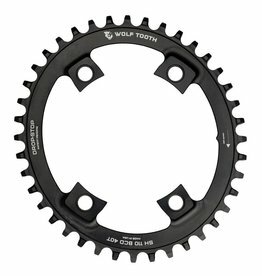 The 36T chainring will not work for this modification. Click here to review the process for the modification, which takes about 5 minutes to perform. 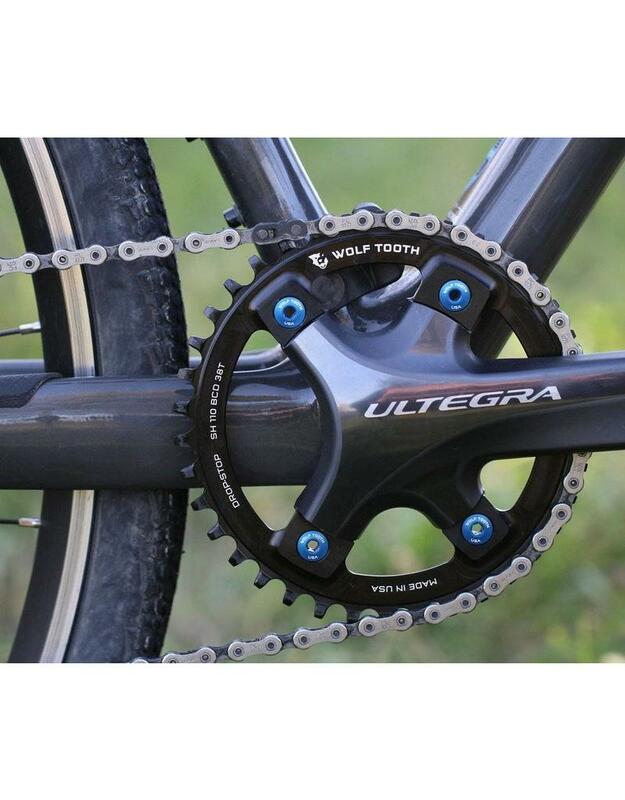 Mounts in the big ring position of the cranks but is offset inward for perfect chainline. The stock 2x bolts will not work. 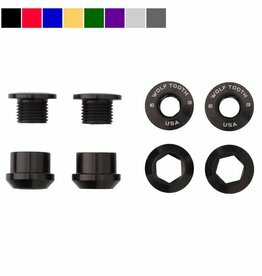 You will need our 6mm bolts which are optimized for single ring mounting. Some do it to protect that beautiful finish on their cranks, and some do it because they can't stand the graphics. 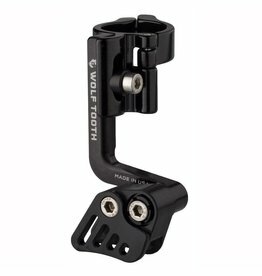 Whatever your reason for wrapping and protecting a crankset, we wanted to give you an option with the Wolf head on it. 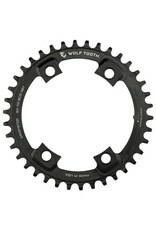 Works with other brands single chainrings too!